Design/Build Team: Main & First Design/Build Associates, Inc. 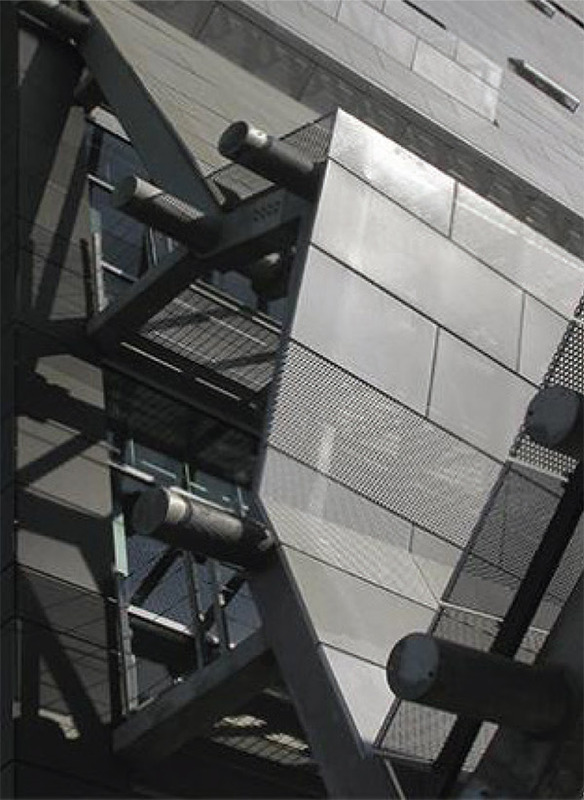 Structural Engineer: John A. Martin Associates, Inc.
Diamond Manufacturing supplied the perforated metal panels to complete “Starchitect” Thomas Mayne’s vision for this spectacular building. Over 11,000 panels with three different perforated patterns were used to create the metal clad, canopy and sign. 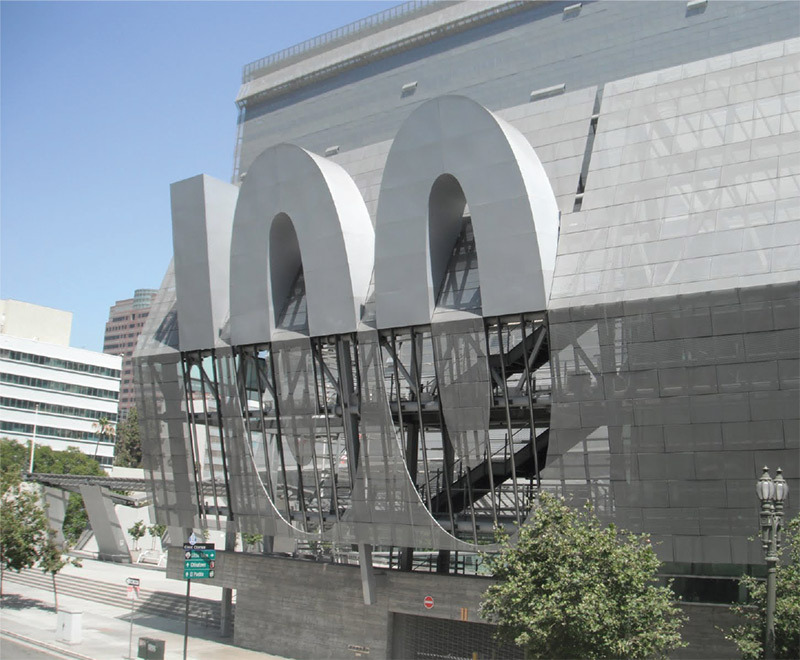 The entire eastern and western façades of the Caltrans District 7 Headquarters are composed of a double skin of metal screens that open and close depending on outside temperatures.